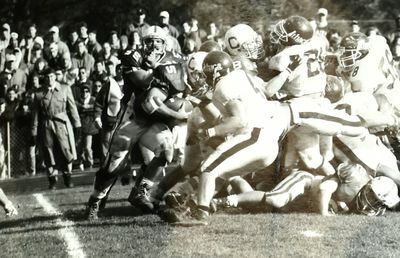 Cortland's #35 rushing the ball against Ithaca. Cortaca Jug game. Cortland defeated Ithaca 22-20.